We had a super quiet night at Plumper Cove on Keats. 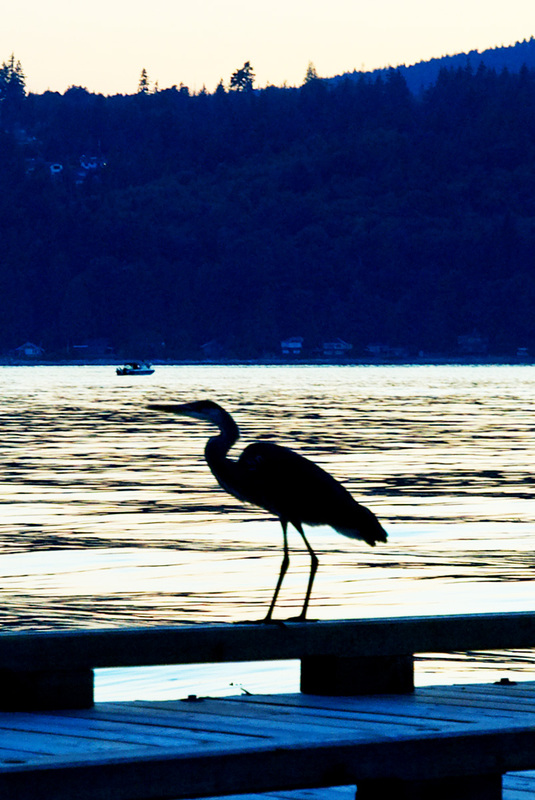 The only dock party involved a Great Blue Heron, who decided to fish from the outside float. It was a super still night weather wise as well – which resulted in a bumper crop of mosquitos in the cabin. 16 Jul This entry was written by bigsnit, posted on July 16, 2009 at 6:16 pm, filed under Madsu and tagged Great Blue Heron, Keat's Island, Plumper Cove. Bookmark the permalink. Follow any comments here with the RSS feed for this post. Post a comment or leave a trackback: Trackback URL. Newer: Do These Bags Make Me Look Blue ? With the foredeck covered in North Sails bags, and her blue tarp, Madsu’s looking, well, blue. At the floats, Plumper Cove, Keats Island.